If you’re looking for Septic Tank Cleaning Professionals in the London area, use ImRenovating.com to find exactly what you need. Septic Systems Installations often need periodic service and cleaning to maintain efficiency and prevent buildups in the area bed and weeping tile. Our listed septic tank cleaning Experts are well versed in septic system repairs as well as new septic system installations and are easily found on ImRenovating.com. Septic system service can be a messy business and not for the faint of heart due to the odour caused by the breakdown of the organic materials within the septic tank. 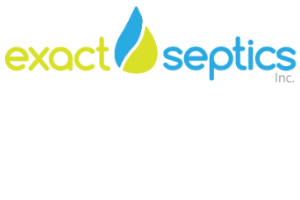 Our London area listed septic tank cleaning experts are the trained and experienced experts to call. They can inspect your complete septic system and consult with you on the most cost effective way to either clean or repair your entire septic system and have it operating normally in no time. Septic tank cleaning can often be tricky due to the fact that most septic systems are serviced by septic tank cleaning contractors who did not originally install the sewer line, septic tank, and the area weeping bed system originally. Due to the fact that you can’t visually see below ground level, and most homeowners and businesses lack an original installation map depicting the septic system layout and location of the septic tank and weeping tile locations, then it’s time to let our London area septic system cleaning specialists do what they are trained to do, determine the cause of the septic system problem and recommend the best course of action for remediation. Older septic system installations can be inspected with the use of camera inspections and video inspections that are placed down the sewer line beginning in the basement of the home or commercial establishment and following the sewer line until the source of the problem is determined. A major cause of sewer backups are simply tree roots that have imposed themselves on weeping tile thus crushing or choking off the flow of effluent preventing it from reaching the farthest reached of the weeping bed installation and therefore causing an often messy sewer backup into the lower levels of a home. Once the cause of the septic system backup is discovered, the usual course of remedial action is to excavate the targeted area as identified by the in-line camera inspection and either dig up the area by hand which is typically less intrusive to the property landscape, or in the case of a more serious problem, the use of heavier excavation equipment can be used especially when the situation requires that the excavated materials need to be removed from the site. Once the Septic System Contractor has uncovered the problematic area, the tree roots can be cut away and removed and then make the necessary repairs or replacement as necessary to the sewer line or weeping bed tile. These are just a few ways in which our London area septic tank cleaning professionals can assist you in getting your septic system back up and working efficiently again. Once the septic system installation is working as the system was originally designed to operate, periodic septic system maintenance should be arranged typically on a bi-yearly inspection basis whereby simple organic bacterial additives may be added to assist in breaking up blockages before they become a bigger problem. If you are considering chemical additives or biological additive cure to your septic system or weeping bed woes, here is a link to assist your search Questions and Answers about Septic Systems, but is still wise to consult a listed industry professional prior to opening up the septic tank and pouring it in because it may not be what it is cracked up to be and end up causing more harm than good, so do your homework. Our listed septic tank pumping experts are both professional and courteous and understand that every septic tank installation is unique in some way. Every property whether residential, commercial, industrial, or agricultural has unique features that need to be incorporated into the septic system design and ultimately the on-site installation. Some locally identified environmental concerns can often result in a holding tank installation that requires frequent Holding Tank Pumping as a weeping bed installation is not included as part of a complete self sufficient septic system installation. Our listed local area septic tank cleaning, inspection, and installation professionals have the experience and expertise as well as best practices to assist you in determining how best to deal with regular septic system maintenance as well as recommending the best course of action when a problem arises. For prompt and friendly service, contact one of our trusted and local Septic Tank Cleaning and Environmental Contractors for a free estimate from a knowledgeable and experienced septic tank pumping specialist. Keep your septic system installation running efficiently and at optimum water levels through a regular maintenance program. It is wise to pump out the solids from your septic holding tank from time to time to prevent solid waste materials from entering the area bed or weeping tile array. Should solid effluent enter the secondary tank chamber of your septic tank, it can then progress into the weeping tile causing the need for excavation and repair by professional excavation contractors for replacement of the plugged tile which will cost you far more money than paying for a periodic septic tank pumping every year or two to eliminate the risk of solids entering your weeping and drainage tile. Use ImRenovating.com to find a reliable and trusted Septic Tank Cleaning Company in the local London area, most of our listed septic tank contractors offer 24 hour emergency service dispatch to your home, cottage, or commercial business whether it is for septic tank pumping service, holding tank pumping service or even service or maintenance to your residential sewage treatment plant. Our vacuum truck operators are licensed by the Ministry of the Environment to ensure all operations regarding the safe and sanitary disposal of the effluent and pumped out material is properly disposed of at a Ministry Approved location. Should you be considering home renovations. it is important to consider the size of your septic tank and leaching bed if you are planning on adding a new addition that includes additional bedrooms or added plumping fixtures. During home renovations, it can often be overlooked that the septic tank or sewer line leading to the septic system may come into play and need to be moved to maintain the minimum set back requirements from any house foundation. In this case our listed septic contractors have the necessary equipment to probe the ground to locate your sewer line that allows them to minimize the amount of excavation that will be required to move the line out of the way of the new home construction area. As well as septic tank servicing and repairs, our septic system contractors also install new septic systems and tanks for new construction. Whether you are connecting to a municipal sewage system in the City, or considering a new septic system design for a rural or agricultural application, Our Expert Septic System Technicians have the knowledge and experience to assist you. When purchasing a new or existing property or home, it is important to determine where the sewage is going whether it is on a municipal sewer connection or into a septic tank and leaching bed. Municipal Sewer Drains should be inspected and cleaned every 8 to 10 years as compared to period septic tank pumping every 2 to 3 years. If you are purchasing any new or older home, it is worthwhile having the septic system or sewer connection and sewer drain inspected and or serviced prior to taking possession. In some cases, inspection cameras can be snaked down the sewer pipe to provide a complete diagnosis while recording the findings to provide pin point accuracy for any problematic areas through this process that can minimize any excavations should they be required. While reviewing the status of your septic system, it may be a good idea to flush out your weeping bed system, and if your septic system is older, adding baffles or installing a filter system may add additional protection from solids entering the effluent tile as preventative maintenance. The old saying, an ounce of prevention is worth a pound of cure certainly applies. Many of our Septic System Contractors also offer extended Environmental Services such as excavation, removal, and disposal of decommissioned septic systems and water wells. It is important to do your homework and ensure that the septic system contractor has the appropriate Ministry licensing to complete the removal of a leaching bed, septic tank or complete septic system. In the case of filling in and decommissioning an existing water well, it is important to use Ministry approved fill to ensure that the integrity of the ground water is maintained. Some of our listed Septic Tank Cleaning and Service Companies are also qualified and experienced at dealing with ground water dispersal through the installation of catch basins that hold and slowly disperse rain water directed to them from eaves troughs and gutters either back into the ground, or through a weeping tile installation to slowly release the water after a rainfall. Whatever your need, use the Septic Tank Cleaning Contractors found locally on ImRenovating.com in the London area. Septic system problems have a funny way of surfacing just when you least expect it such as a family picnic or business function. 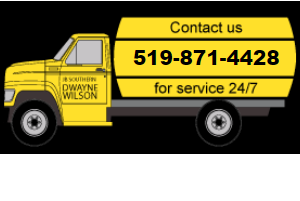 Most of our listed septic system specialists offer 24 hour emergency service as well as weekends and evening appointments to service your septic system needs when they are least expected. There are usually slight increases in the rates charged as compared to the fair and reasonable business hours rates, but that is to be expected when immediate service is required during the off hours. Most of our septic tank cleaning and repair specialist are licensed and insured for peace of mind and are required to report septic system alterations and replacements that are necessary to be inspected by local ministry officials for approval to back-fill. There are strict environmental regulations in place to protect our lake shore regions as well as potential flow into rivers and streams and are therefore required to have adequate septic systems designed and installed to meet these specific requirements to protect the wildlife as well as preventing the contamination of our drinking water supplies. For all Top Quality Residential and Commercial Septic Tank Cleaning Services in The London Area , look no further than the Septic Tank Cleaning section of ImRenovating.com, The London Area's Ultimate Trade Guide! 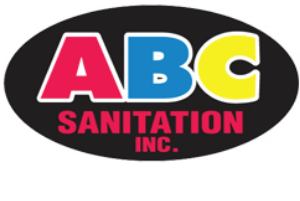 View Septic Tank Cleaning Photos From: ABC Sanitation Inc.
View Septic Tank Cleaning Photos From: Exact Septics Inc.